Restore files from other Server Backup? 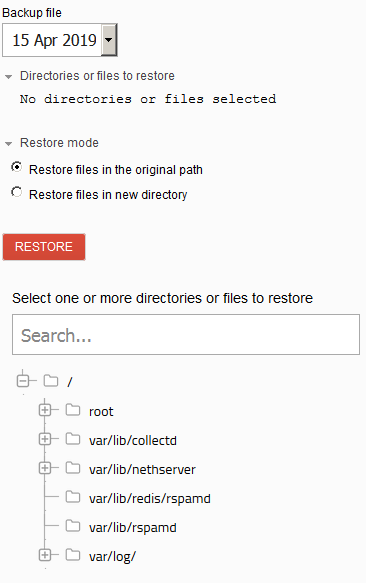 How can I restore the files from this Backup on a different NethServer? Just configure the machine like the old one: same hostname and database configuration, then restore. Copying duplicity-full-signatures.20180527T064546Z.sigtar.gz to local cache. Copying duplicity-full.20180527T064546Z.manifest to local cache.